Also known as PCE or “perc”, this substance is most commonly found in dry cleaning material. It is capable of dissolving grease, oil, and wax. 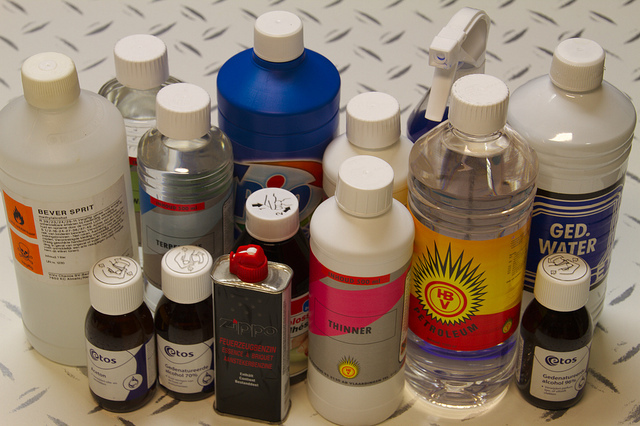 It can also be found in many glues, paint inks, paint removers, polishes, and lubricants. Based on both human and animal studies, it has been suspected of causing cancer. Because of this, it is highly recommended that precautions are taken while working in a dry cleaning or degreasing environment. Things such as changing clothes after work, washing clothes regularly, and keeping food out of the work area are essential. If you wear clothing that has been dry cleaned, it is important to understand that the levels of tetrachlorethylene exposure is very minimal. More concern should be focused on the work environment where repetitive exposure exist.